With the basic labor cost in Asia being increased continuously in recent years, the labor-intensive industry has been pushed to the transformation stage. When the labor is increasing, the furniture industry should exclude the labor production but turn to buy in more automated machinery and equipment, which has caused the sales of CNC machining center can be growing up steadily. 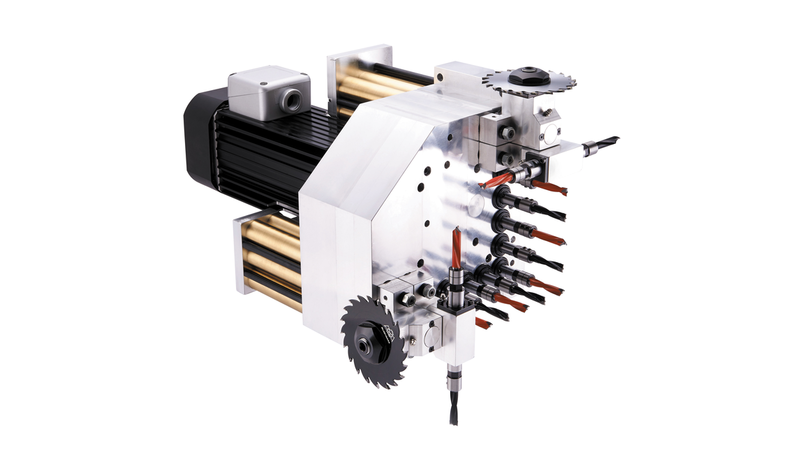 The high-strength aluminum alloy case is used for CNC-WF3213L-2S-2H multi-spindle drill of Wen Chih. Nine vertical drill holes can go with different vertical drills. With the automated tool changing system, the tool changing time and labor demand can be reduced but the processing convenience and efficiency will be increased significantly. In addition, with one set of X-axis and one set of Y-axis horizontal side drill, the comprehensive processing can be completed in one process. Such type of multi-spindle drill is pushed by the cylinder, which can be operated by CNC controller and controlled independently. Multi-point simultaneous processing can be completed.